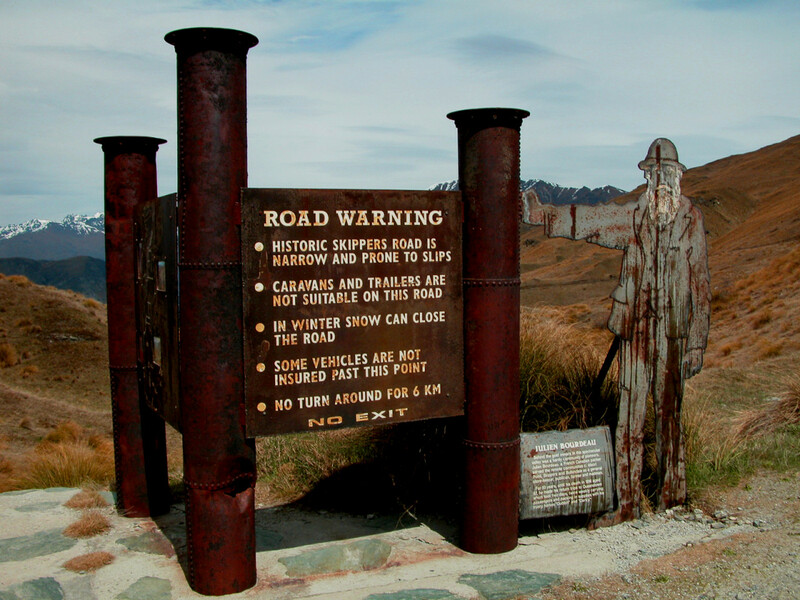 The gravel road into Skipper's Canyon is certainly one of New Zealand's most notorious roads. It's narrow and windy, not to mention the looming abyss into the canyon below. 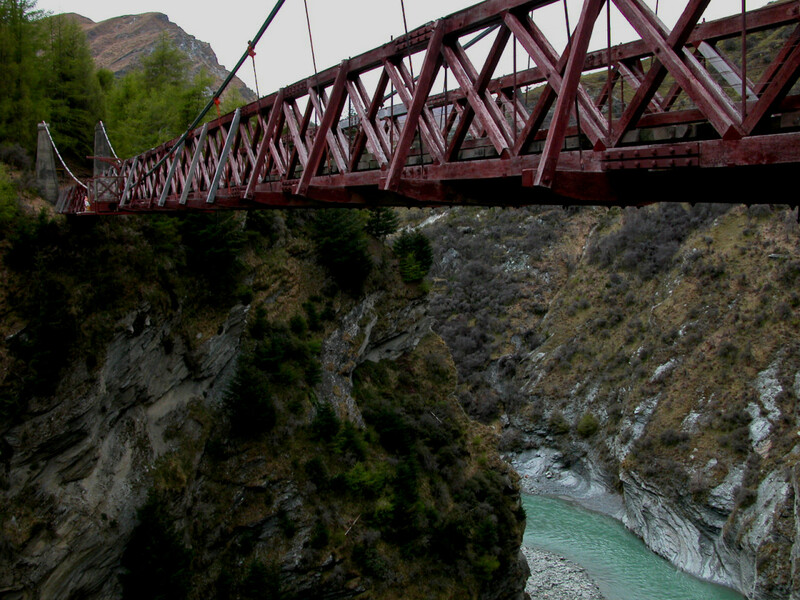 Built between 1883 and 1890 to access the goldfields of the Shotover River, the layout of the road has not changed much since then. The upper section of the Skipper's Canyon road. You also have to expect oncoming traffic, which might force you to reverse your car for quite some distance as laybys are far and few between. There is a good reason, why rental cars are banned from this road. If you've got your own car, don't let the warning signs put you off. The drive is well worth it! If money is not an issue, using a helicopter instead is certainly an alternative worth considering. The views are spectacular! 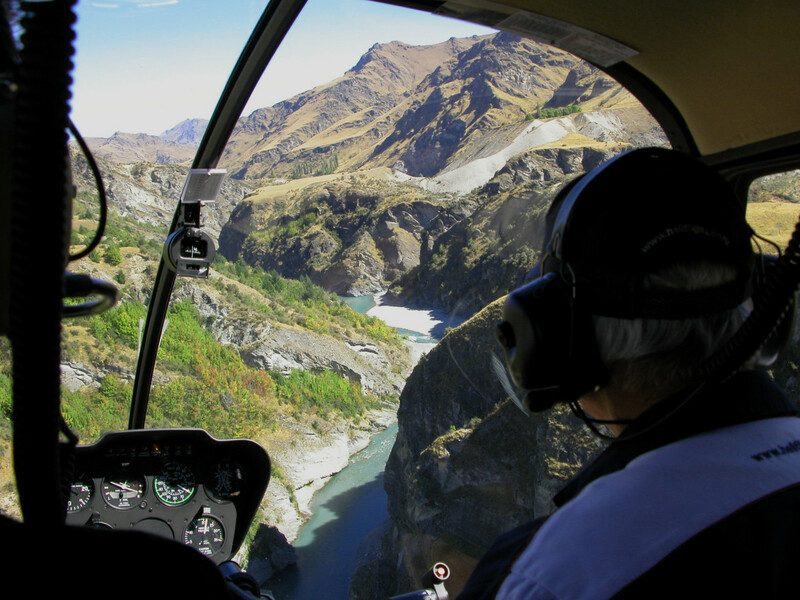 Flying along the Shotover River. 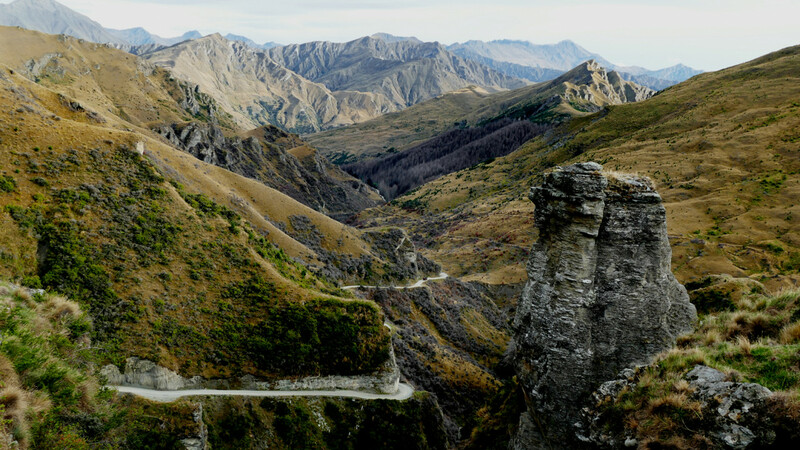 The section of the Shotover River shown in the image below provided the backdrop for the Ford of Bruinen scene in The Fellowship of the Ring. After the Nazgûl have chased Arwen and Frodo across the lands west of Rivendell, the elven princess reaches the ford at the river Bruinen. 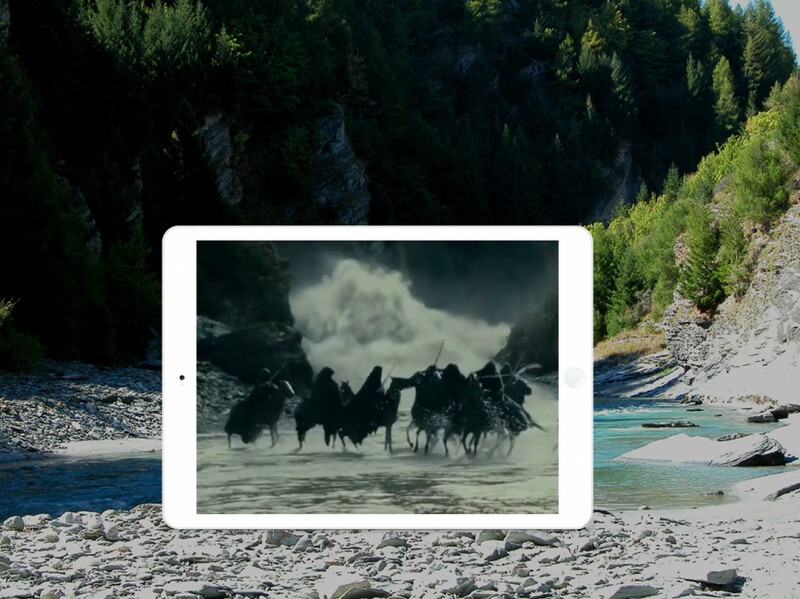 While Arwen swiftly makes it across, the Black Riders hesitate in their pursuit, as the river is imbued with elven magic. Facing each other across the waters, the leader of the Nazgûl demands: "Give up the halfling, she-elf". Arwen reponds by drawing her elven sword. Arwen: "If you want him, come and claim him." The Nazgûl unsheath their weapons and force their horses into the river. This is what Arwen was hoping for. She calls on the spirits of the river, and the Black Riders are swept away by a flash flood. There is no escape for the Black Riders. The Shotover is fast-flowing and deep. Therefore, it was not possible to have the actors riding their horses across it. 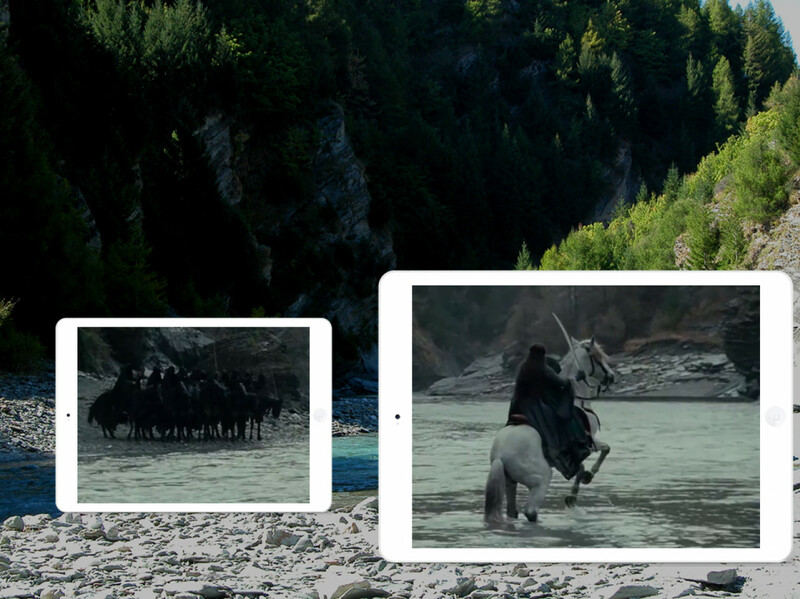 Instead, they filmed those scenes at the Arrow River and cut the two together for the final picture. After about 12 kilometres into the gorge, a gravel road branches off to the left and leads down towards the river. Park your car down the bottom and walk onto the river bank, then look upriver. The viewpoint is at S44° 51' 54.556" / E168° 40' 29.981" or -44.86515432236826 / 168.6749946917878. In case you've decided to conquer the canyon with your own vehicle, you should continue past the movie location for another few kilometres. Here, the historic suspension bridge built in 1900 spans the chasm above the river. It's about 100 metres straight down. The bridge is open to the public, and you can take your car over it. 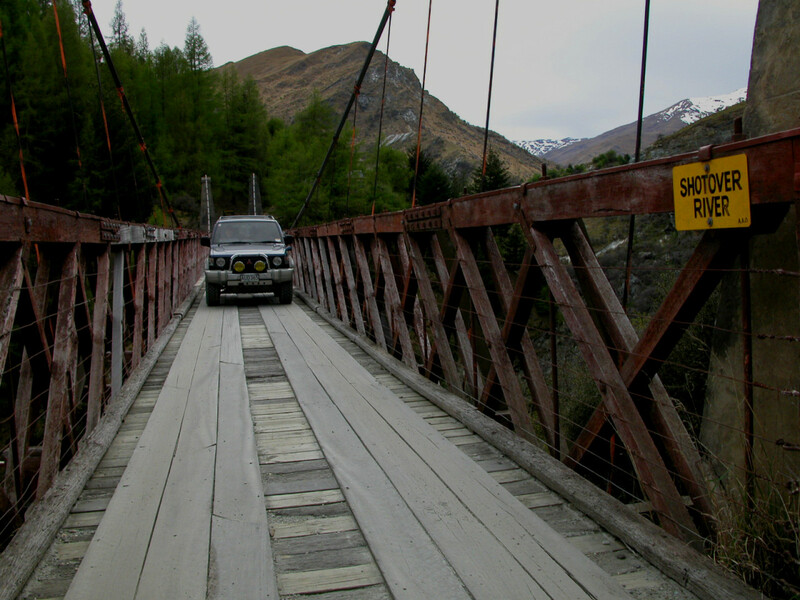 Stefan testing the bridge limits.